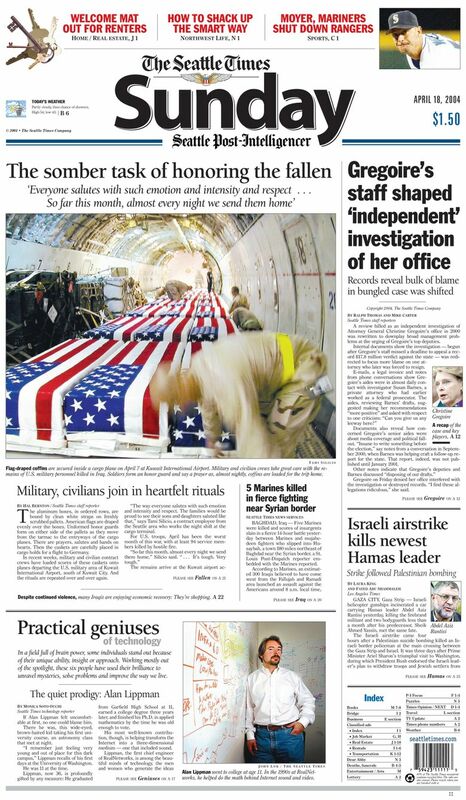 Tami Silicio’s photo of the flag-draped coffins of U.S. service members killed in Iraq has been selected by Time as one of the most influential pictures in history, but the release of the image came at a steep personal price. 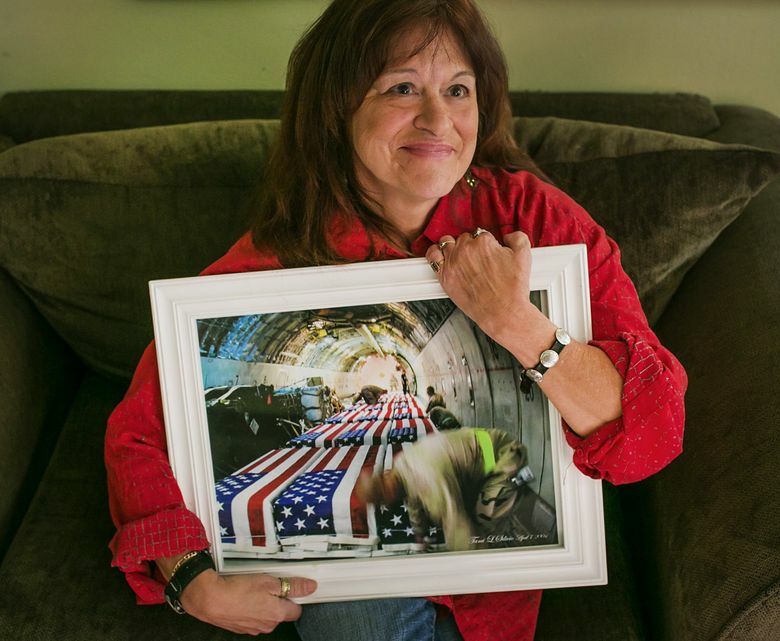 More than a dozen years ago, Tami Silicio, a native of Edmonds, took a photo of the tunnellike interior of a cargo plane that held more than 20 flag-draped coffins of U.S. service members killed in Iraq and soon to be flown home. First published by The Seattle Times, the image quickly gained a global audience, and helped to fuel a volatile debate about a U.S. government policy that prohibited the media from taking pictures of such scenes. It also cost Silicio her job in Kuwait with a military contractor. This month, the 2004 picture is included in a Time anthology book, “100 Photographs: The Most Influential Images of All Time,” and will be part of a companion digital display scheduled for rollout later this fall. Though the picture would become a rallying point for those opposed to U.S. policy in Iraq, Silicio said that, at the time, she did not intend an anti-war image. The aircraft interior felt almost like a shrine, she said, and she hoped the photo would convey the respect and the dignity with which the workers went about their tasks. In the Time book, Silicio’s photograph is included along with images that range from a Mathew Brady photo of Abraham Lincoln to the iconic shot of the World War II flag-raising on Iwo Jima by Joe Rosenthal. The book’s publication marks the 175th anniversary of photography. “This was a censored photograph published on the front page of a major newspaper in 2004 and was extremely influential,” said Kira Pollack, Time’s director of photography and visual enterprise. The Seattle Times first received Silicio’s picture, taken with a Nikon Coolpix, from one of her stateside friends, Amy Katz, who had worked with Silicio for a different contractor in Kosovo. Silicio, at the time, was based at Kuwait International Airport for Maytag Aircraft, and took the image after boarding a plane where a half-dozen colleagues labored largely in silence to secure the coffins. The photo arrived at the newspaper in early April 2004, a pivotal period in the invasion and subsequent occupation of Iraq, as the death toll of U.S. troops rose amid a growing insurgency. It was also taken at a crossroads moment in technology, when photos could be easily emailed around the world, but Facebook, then only a few months old, did not yet offer an instantaneous platform to self-publish. The newspaper did not rush to release the photo, but held onto it for more than a week. In phone calls with Silicio, Barry Fitzsimmons, then a Seattle Times photo editor, said this was a potent and important image. But he warned of the potential implications of the public release, including the risk that Silicio would lose her job. “Most of my conversations were making sure she knew what she was getting into,” Fitzsimmons recalled. On April 18, 2004, the photograph was published, paired with an article about Silicio’s work in Kuwait and why she took the picture. “Those of us at The Times knew the picture would be important, if only because the government prohibits the press from taking such photos. But we didn’t dream it would spark so much interest worldwide,” wrote Mike Fancher, then The Seattle Times executive editor, in a May 2, 2004, column written after two weeks of fielding media interviews and poring through an avalanche of reader responses. Some were critical of the decision to publish, assuming political motivation. But most were positive, including several from parents of fallen service members who did not want to conceal the sacrifice their children had made. “Hiding the death and destruction of this war does not make it easier on anyone except those who want to keep the truth away from the people,” wrote Bill Mitchell, father of Staff Sgt. Michael Mitchell, who was killed in Iraq just days before Silicio took her photo and whose remains may have been on the aircraft. Within days after the photo was published, Silicio was let go from Maytag for violating company and government regulations. In the years that followed, Silicio couldn’t get other military-contracting jobs. Back home, she struggled financially, losing the home she had purchased in Everett to a bank, as she was unable to keep up with her mortgage payments. Now 62, Silicio says she has spent much of the past 12 years helping to raise her grandchildren. She now lives in Seattle, and says she does not regret her decision to allow publication of the photo. “I would have been better off, but I still feel like I did the right thing,” Silicio said. The policy that prohibited the media from taking such pictures was put in place in 1991 during the Gulf War. In 2009, the Obama administration decided to lift the ban. Today, the war in Iraq continues. The numbers of U.S. troops, numbering nearly 6,000, has once again been on the rise, although greatly reduced from a peak of more than 165,000 during the Bush administration. Just Thursday, a U.S. service member was killed by a roadside bomb.